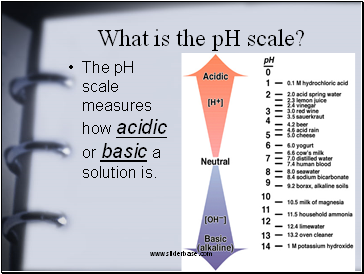 The pH scale measures how acidic or basic a solution is. 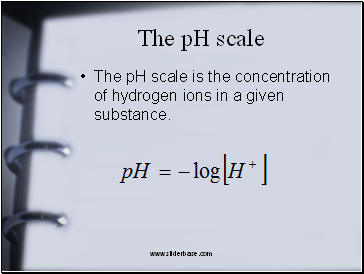 The pH scale is the concentration of hydrogen ions in a given substance. 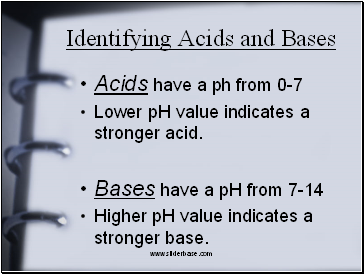 Lower pH value indicates a stronger acid. Higher pH value indicates a stronger base. 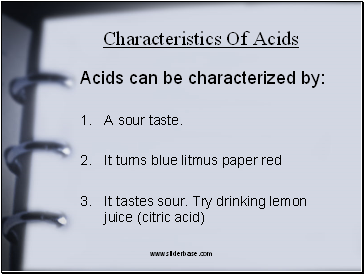 An acid is a substance that breaks into ions in an aqueous solution. 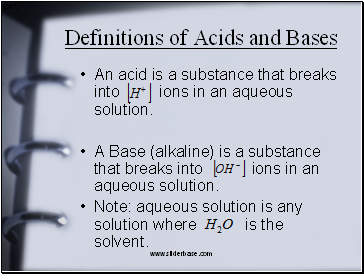 A Base (alkaline) is a substance that breaks into ions in an aqueous solution. 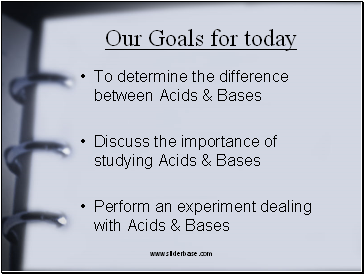 Note: aqueous solution is any solution where is the solvent. 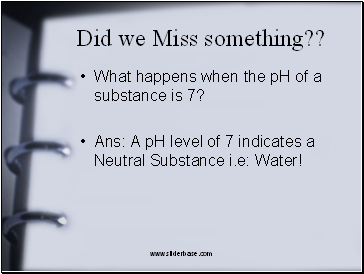 What happens when the pH of a substance is 7? 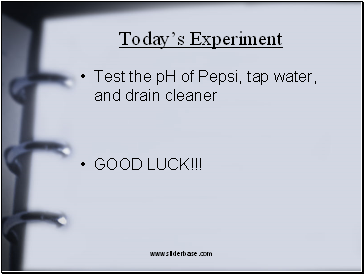 Ans: A pH level of 7 indicates a Neutral Substance i.e: Water! What is the range of an ACID on the pH scale? 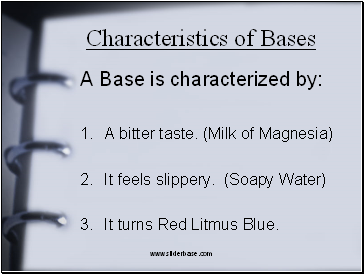 What is the range of a BASE and what is another name for a BASE? It turns Red Litmus Blue. 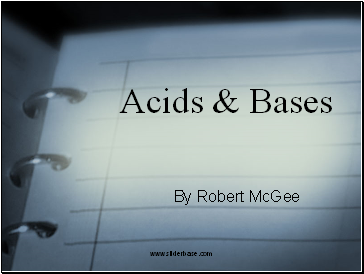 Why Learn about Acids & Bases? What do you think is the pH level of NYC tap water? The pH of a swimming pool must be checked periodically. Why? 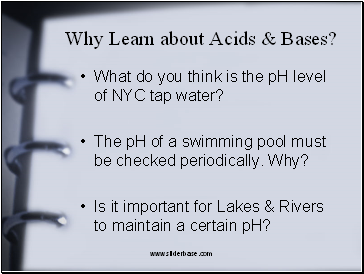 Is it important for Lakes & Rivers to maintain a certain pH?